Performance bonds can be a valuable source of protection to owners that want their general contractors to provide a performance bond and, likewise, to general contractors that want certain subcontractors to provide a performance bond. The performance bond is designed to benefit the obligee in the event the contractor that issues the bond defaults under its contractual obligations. It is absolutely crucial that parties take the proper steps under the terms of the performance bonds to preserve their rights and arguments under the bond. To do this requires an unequivocal formal default of the contractor that issued the bond and that the party will be looking solely to the surety to complete the defaulted party’s contractual obligations. Otherwise, a court will rule in favor of the surety finding that the obligee of the bond did not comply with conditions precedent to preserve the performance bond claim and/or breached the terms of the bond by not allowing the surety to investigate and complete performance. This is exactly the situation in two federal district court summary judgment opinions relying on Florida law: North American Specialty Insurance Co. v. Ames Corp., 2010 WL 1027866 (S.D.Fla. 2010) and CC-Aventura, Inc. v. Weitz Co., 2008 WL 2699577 (S.D.Fla. 2008). Both of these cases illustrate the importance of formally and unequivocally declaring the party that issued the performance bond in default irrespective of whether the issue arises pre-completion or post-completion. Both cases also pertain to a subcontractor that provided a performance bond identifying the general contractor as the obligee (or beneficiary) of the bond. Ames Corp., 2010 WL at *1. During construction, the general contractor notified the surety that the roofer was refusing to perform and that the general contractor will look to the surety for costs incurred above the roofer’s subcontract amount. A follow-up notice advised the surety that expenses were being incurred to finish the roofer’s subcontract amount and no one from the surety visited the jobsite. The surety then commenced an investigation while advising the general contractor that the “prior letters were not accompanied by supporting documentation and/or prior notice to the principal of default and/or potential default.” Ames Corp., 2010 WL at *3. A meeting was coordinated with the owner, the general contractor, the roofer, and the roofer’s surety at which time the surety represented it would need up to 5 months to assume responsibility and take action. After this meeting, the general contractor sent another letter to the surety and the roofer explaining that the roofing subcontract was not terminated or declared in default and that the surety needed to appreciate the short time allotted for completing the roofer’s contract. The surety responded that because the general contractor had not declared the roofer in default, the surety had no obligation to act under the performance bonds. Notwithstanding the general contractor never formally declaring the subcontractor in default, it supplemented the roofer’s scope of work. Both the roofer and the surety objected; the surety even advised that such efforts would be a material breach of the bonds. However, due to leaks with the roofing system (the manufacturer of the roofing system inspected the roof and found that there were installation defects), the general contractor incurred substantial costs to complete the roofer’s scope of work which exceeded the roofer’s subcontract balance. In addition, the general contractor incurred delay damages associated with completing the roofer’s scope of work. The surety initiated this lawsuit based on the monetary demands from the general contractor. 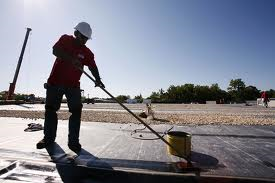 The surety moved for summary judgment based on the argument that a condition precedent to the bonds obligations was never triggered, that being that the general contractor never declared the roofer in default. The surety also argued that the general contractor breached the bonds by not allowing the surety the right to remedy any default and by not making available to the surety the unpaid subcontract balance in connection with the surety remedying the default. [A] surety’s liability on a bond is determined strictly from the terms and conditions of the bond agreement. The purpose of a performance bond is to guarantee completion of the contract upon default by the contractor. A declaration of default sufficient to invoke the surety’s obligations under the bond must be made in clear, direct, and unequivocal language. The declaration must inform the surety that the principal has committed a material breach or series of material breaches of the subcontract, that the obligee regards the subcontract as terminated, and that the surety must immediately commence performing under the terms of the bond. Ames Corp., 2010 WL at *6 (internal citations and quotations omitted). Based on this law, the Southern District held that none of the letters the general contractor sent to the surety defaulted the roofer in clear, direct, and unequivocal language. While the letters urged the surety to become involved and threatened default, they did not formally and unequivocally default the roofer. Accordingly, the court granted summary judgment in favor of the surety. Furthermore, the Southern District agreed with the surety that the general contractor breached the bond by completing / supplementing the subcontract without giving the surety the opportunity to remedy any default under the subcontract. As the court explained: “‘[O]nce Ames/Dawson [general contractor] engaged in the supplementation of work without allowing NAS [surety] to perform, its conduct constituted a material breach that voided the bond.” Ames Corp., 2010 WL at *9. In this case, the general contractor was hired to construct a senior living facility. The general contractor hired a painter with a subcontract that contained an indemnification provision and a provision that required the painter to correct defective work. The painter provided a performance bond identifying the general contractor as the obligee. After completion of the project, the owner sued the general contractor for water intrusion and damage. 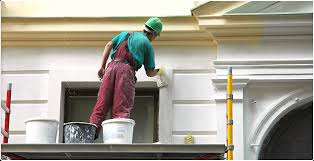 The general contractor sued subcontractors including its painting subcontractor. The general contractor also asserted a claim against the painting subcontractor’s performance bond surety for breach of the bond. The surety moved for summary judgment arguing that the bond obligations were never triggered because the general contractor never formally declared the painting subcontractor in default. The general contractor argued that it did provide default notices when it transmitted the owner’s expert and its expert reports regarding the paint that the painter applied. In the notices, the general contractor demanded that the surety correct the defects and that the painter’s failure to take corrective action will be a default under the subcontract. CC-Aventura, 2008 WL at *4. As illustrated above, there are certainly procedural hurdles that are required to take place in order to properly default a contractor that provided a performance bond. Not doing so can be fatal to the performance bond claim. Default is always viewed as a last resort because parties do not want to be in material breach for incorrectly defaulting or terminating a party. However, by not defaulting a party, the performance bond’s obligations are not triggered. Due to these hurdles, general contractors are now obtaining subguard (subcontractor default insurance) instead of requiring individual subcontractors to provide performance bonds. This allows the general contractor to be more involved in the process since it is the one obtaining subguard and it eliminates subcontractors from having to obtain the bond (which could be problematic for certain subcontractors). This entry was posted in performance bond, Uncategorized and tagged performance bond, performance bond default, subcontractor default insurance, subguard, surety by David Adelstein. Bookmark the permalink.